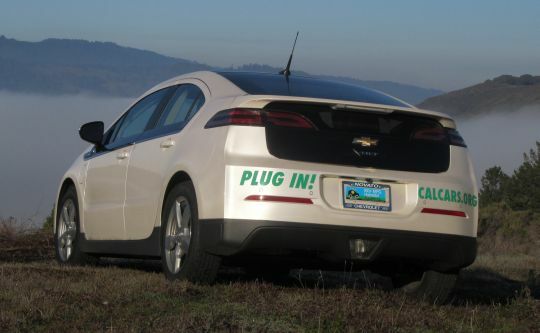 Media may use high-resolution images with credit: calcars.org. 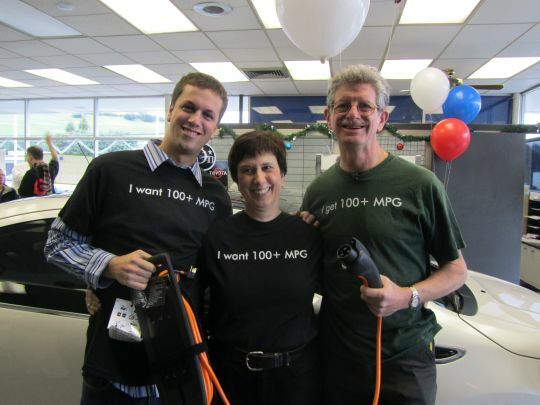 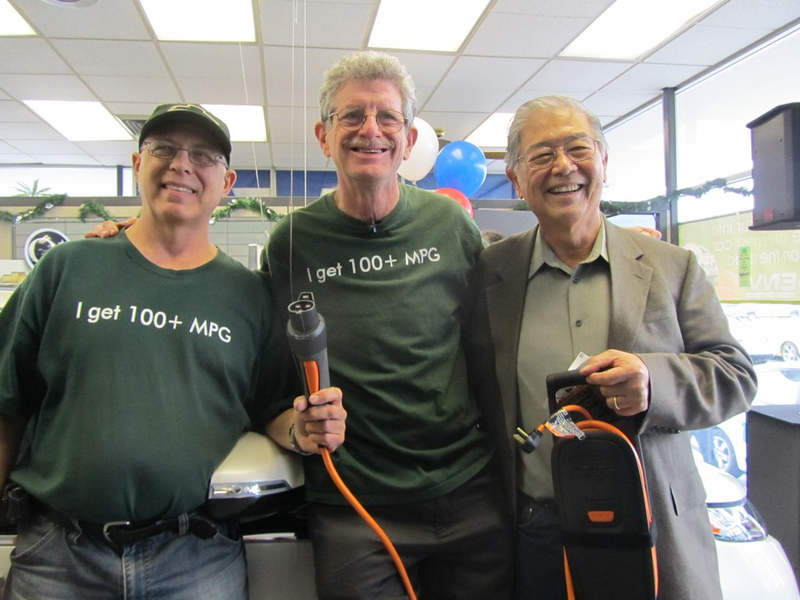 CalCars celebrated the arrival of the Chevy Volt at Novato Chevrolet on December 22, 2010, with an event co-sponsored by Plug In America (PIA), the Electric Auto Association, and the North Bay, San Francisco, and Silicon Valley EAA Chapters. 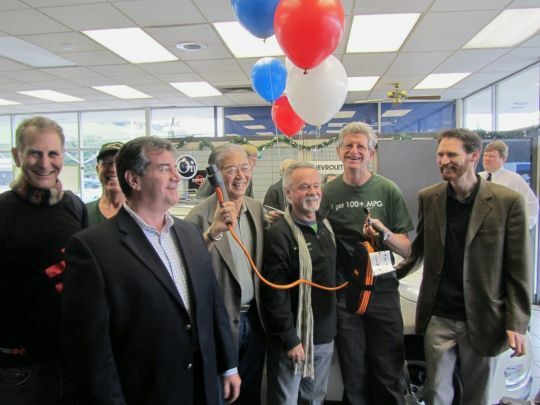 Speakers included Novato's Mayor, other local officials, Dave Barthmuss from GM, Andy Frank, Felix Kramer, and Ron Gremban; PIA's Marc Geller was master of ceremonies (see photo captions below). Here's an appreciation by Sherry Boschert, author of the first book entirely about PHEVs, reports in the Marin Independent Journal and BrightSide News, and a follow-up interview at PlugInCars.com. Autoblog Green published an extended version of Ron's remarks: 42 years of waiting, and working, for an electric car pays off. 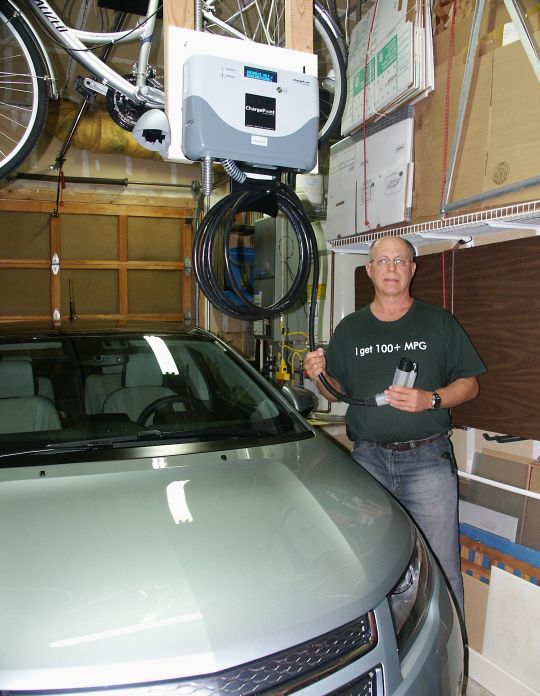 PlugInCars.com profiled Ron at "EV Veteran Calls for Faster Shift to Plug-In Cars". 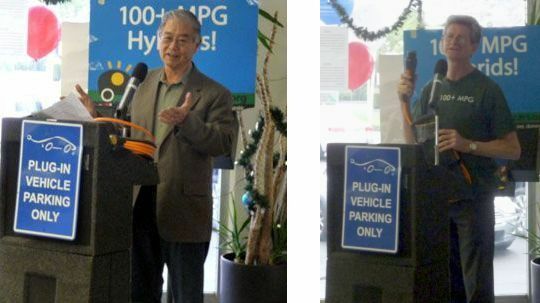 An Associated Press story on the arrival of the new plug-in cars ran widely, with two photos of Felix and his Volt. Published the same day was Felix Kramer's long article putting the arrival of mass-produced plug-in cars in the context of the larger challenges we face, suggesting we can't achieve our goals if we can't win over at least some of the oil companies. 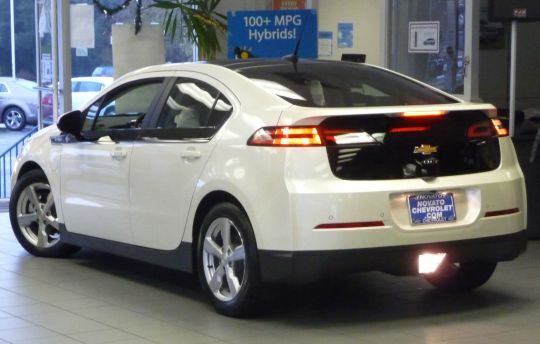 That ran originally at GM-Volt.com where it received over 120 comments. 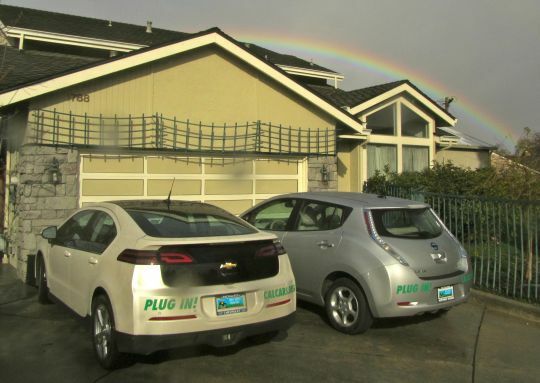 It was then picked up at two top websites about climate change: Climate Progress and 350.org. 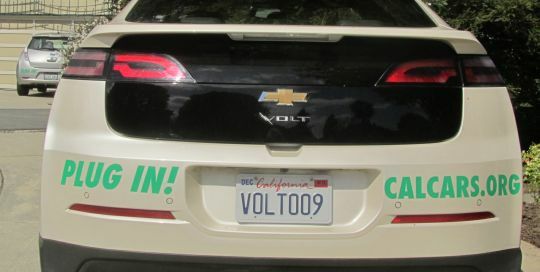 Two weeks later, Felix described his record-sertting road trip in "To Tahoe and Back in My Chevy Volt" at EVWorld, with an CalCars-News. 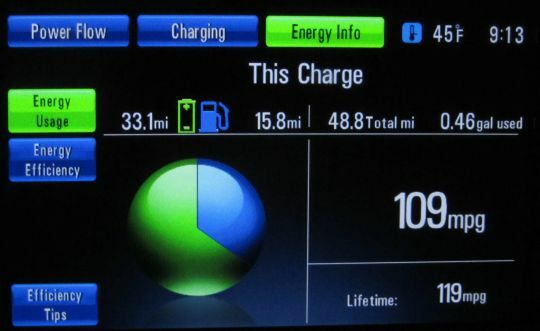 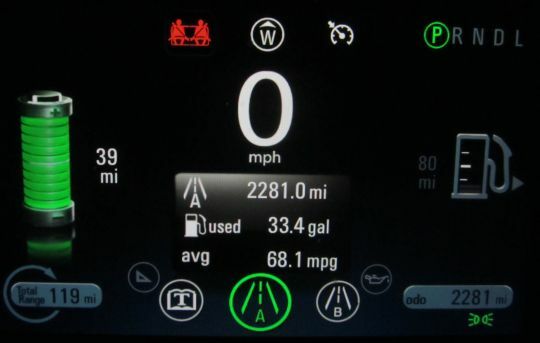 And at the end of February in "My Bittersweet Chevy Volt Moment", Ron described his experiences at the point when he finally had to put gasoline in the fuel tank after two months and 1295 miles of driving. 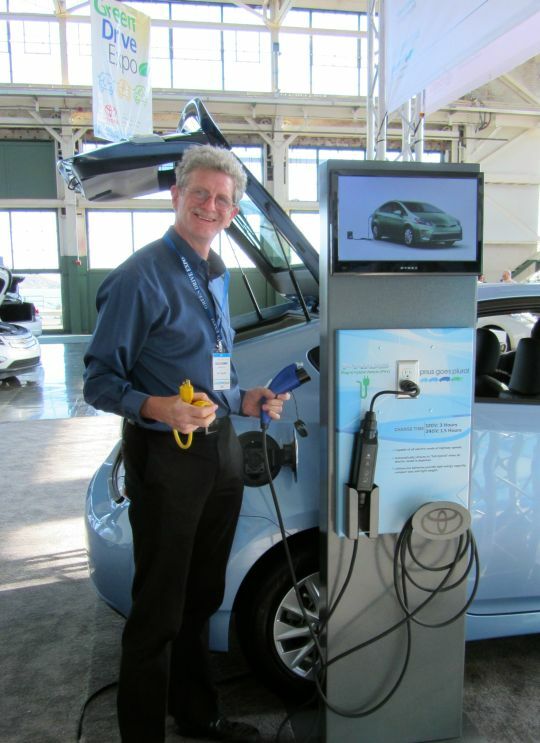 He added much additional information in responding to comments. 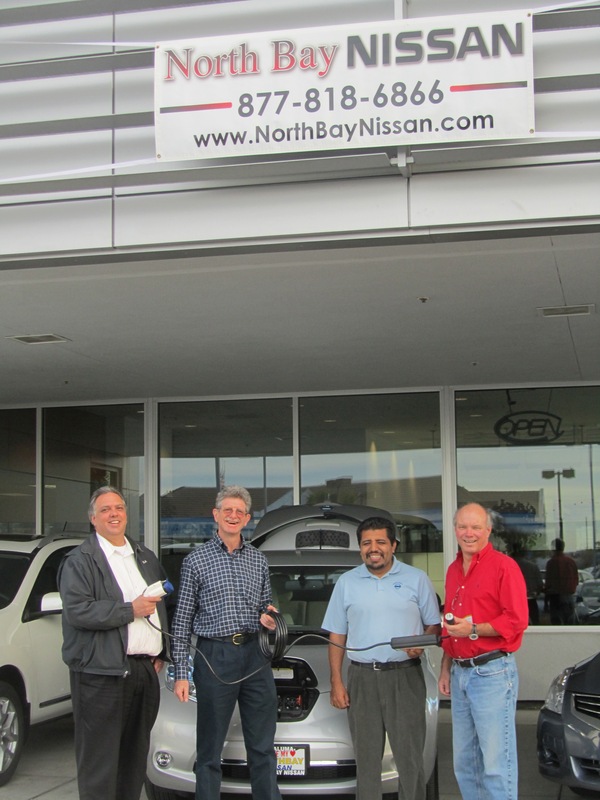 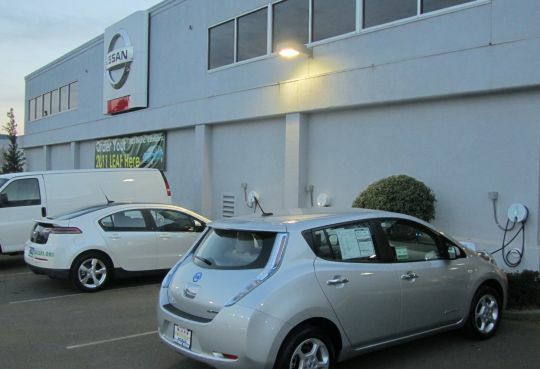 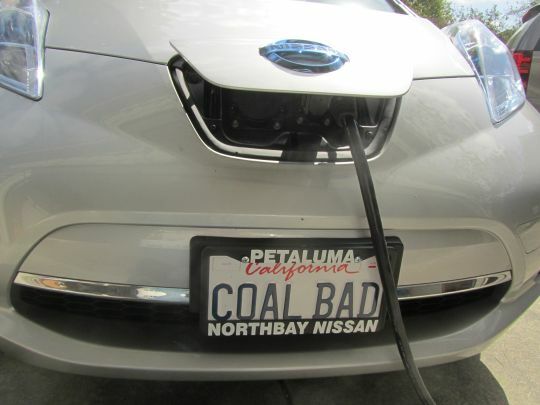 On January 24, Felix picked up his family's Nissan LEAF at North Bay Nissan in Petaluma. 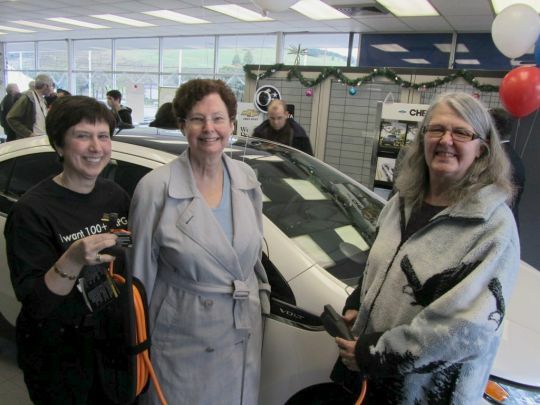 On January 28, read the posting, "Lucky Family First to Get a Volt & a Leaf" at CalCars, and find it (with comments) at http://gm-volt.com/­2011/­01/­31/­lucky-family-first-to-get-a-volt-a-leaf/ or http://www.mynissanleaf.com/viewtopic.php?f=27&t=2555 or http://www.plugincars.com/lucky-family-first-get-volt-leaf.html. 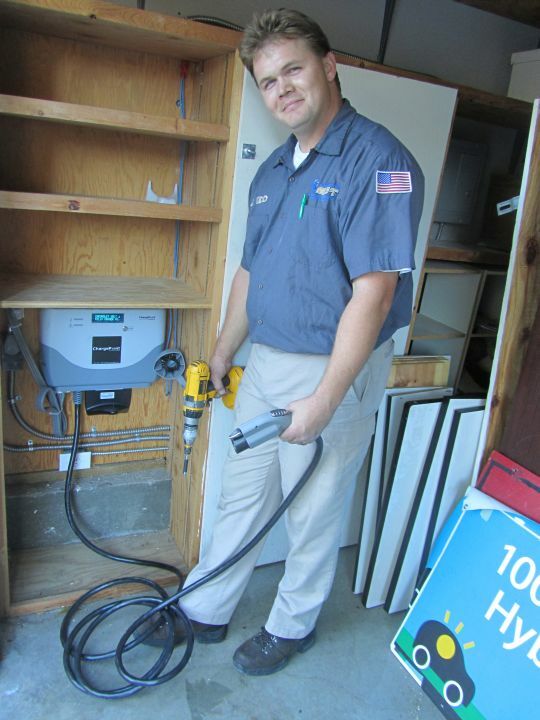 Jeff Kidd, Senior Electrical Home Technician at Emard's Electric after he completed installation on December 6, 2010 of a Coulomb CT-500 Level 2 home charging system in Felix Kramer's garage -- destined to charge a Chevy Volt PHEV and a Nissan LEAF EV. 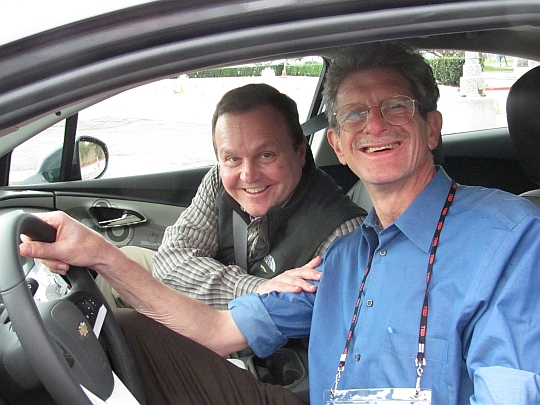 Felix Kramer's dream starts to come true: his first drive of a Chevy Volt; GM's Volt Vehicle Line Director Tony Posawatz helped put the car through its paces at the TED2010 event in Long Beach, Feb., 9, 2010 -- which Posawatz described as the first time the vehicle was demoed to non-insider "civilians" (people outside the auto/media/advocacy communities). 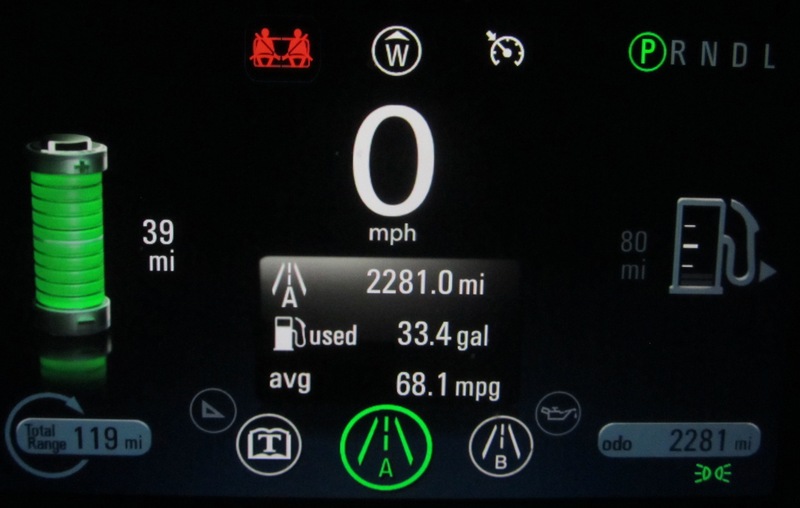 Full-size image. CalCars sponsored an August 5, 2008 briefing/demonstration/brainstorming session at Pat's Garage in San Francisco, designed to offer feedback to General Motors from PHEV and EV drivers, owners and fleet operators, focused on the successful development and commercialization of GM's Chevy Volt and Saturn Vue. Representing GM was Tony Posawatz, Vehicle Line Director, Chevrolet VOLT. 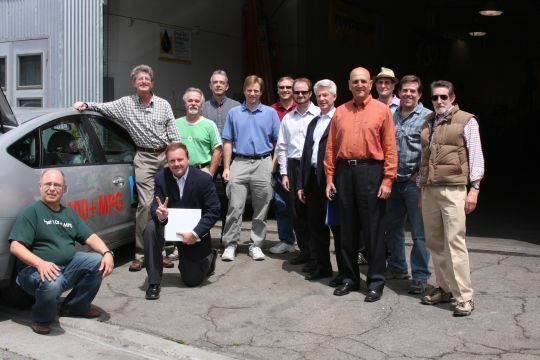 Shown in photo left to right are front: CalCars' Technology Lead Ron Gremban, GM's Posawatz; rear, CalCars' Felix Kramer, Pat's Garage/GreenGears' Pat Cadam, Plug-In Supply's Robb Protheroe, Google.org's Alec Proudfoot and Rolf Schreiber, Electric Power Research Institute's Marcus Alexander, City of San Francisco Department of the Environment's Bob Hayden, Silicon Valley Leadership Group/OurPower.org's Sass Somekh, Plug In America's Marc Geller, diy-mpg.com's Darren Overby, and CalCars' Randy Reisinger. 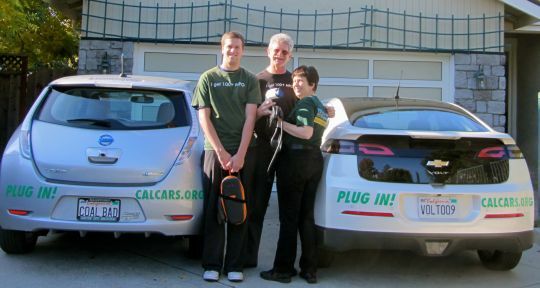 For more on this event see calcars-news/984.html.